Every time we take a photo, there is a story and a memory tied to it. With photo gifts from Shutterfly, you can turn those memories into forever. Take your favorite photos and turn them into mementos that your loved ones will cherish for years to come. No matter the occasion, family and friends will always treasure a personalized photo gift. The easiest and one of the most thoughtful ways to brighten someone’s day is with a photo gift. 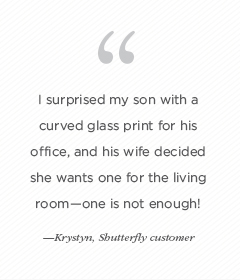 At Shutterfly, we think the most meaningful gifts are those that have sentimental value. Whether you are looking to send a heartfelt housewarming gift or just want to show someone how much you care for them, a lovely photo gift from Shutterfly is a sure crowd pleaser. Enjoy cozy ambiance in any room of your loved one’s home with a personalized candle from Shutterfly. Choose from a variety of elegant designs and personalize your candle with photos, monograms, and customizable designs. They are available in a variety of subtle, pleasing scents. Though frequently overlooked, a custom placemat can add a touch of whimsy to your everyday meals while protecting your furniture from spilled drinks and food splatters. They're fun to customize, and they add a special touch to family meals. Share your favorite memories with house guests and visitors with custom wall art. At Shutterfly, it's simple to upload and design your pieces without the hassle of going to framing stores. Our quality art makes for beautiful photo decor. 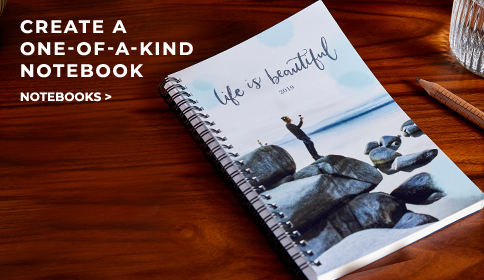 Brighten someone’s day with a personalized photo gift from Shutterfly. Find meaningful gifts with a gift finder, like Christmas stockings or ornaments will be treasured by your loved ones for many years. If you really want to bring a smile to someone’s face for their next birthday or special occasion, give them a personalized photo gift that shows just how much you care.